A New GrindHouse Mashup Podcast Airs this Saturday! Nowhere Man's Jerome Walford Stops By! 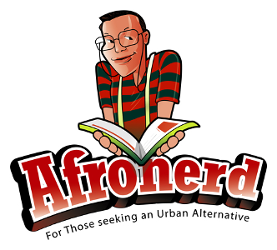 - Afronerd: The Blerd Revolution Has Begun! Home > Untagged A New GrindHouse Mashup Podcast Airs this Saturday! 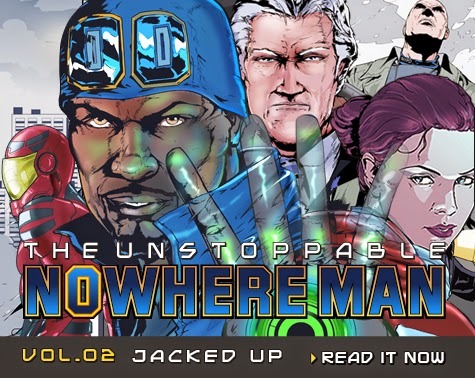 Nowhere Man's Jerome Walford Stops By! A New GrindHouse Mashup Podcast Airs this Saturday! Nowhere Man's Jerome Walford Stops By! Welcome to a new Grindhouse Mashup broadcast, courtesy of the Afronerd Radio machine airing this Saturday at 6pm eastern. Join Dburt, Capt. Kirk and Daryll B. as they unravel the following mysteries: illustrator, graphic designer and independent comic publisher, Jerome Walford stops by to discuss his Nowhere Man (Forward Comix) graphic novel series; the Daredevil Netflix trailer hits the cyberwebs; the crew finally gets around to analyzing Ethan Hawke's Predestination film; maybe a bit more discussion about last week's annual Afronerd Super Bowl gathering including Daryll B's impressions; Mehcad Brooks is Jimmy Olsen in the upcoming CBS Supergirl series; a viral letter addressed to DC comics from an eleven year old female fan requesting more superheroines comes just as Marvel announces their woman centric, A-force comic series (and where is that minority representation letter?) ; more fallout from the Brian Williams RPG-gate embellishment fiasco; the corporate structure continues to pour "minstrel juice" over what appears to be a dessicated Black cultural standard-introducing the Match Made in Heaven reality TV show; DC promises to "diversify" their lineup for the June post Convergence storylines, but what does that mean exactly? and lastly, the Black Feminist Blogger web series exemplifies the obvious-CREATE YOUR OWN S_ _ _! (mainstream media are not in the business of Black pride TV...case in point-Empire). Call in live at 646-915-9620!